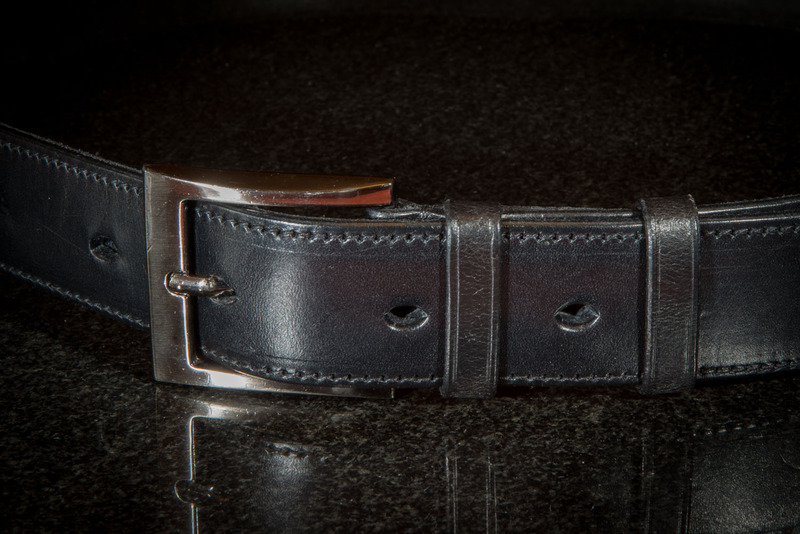 Mans Black Leather Belt, Hand made and hand finished with the best quality quality English leather. 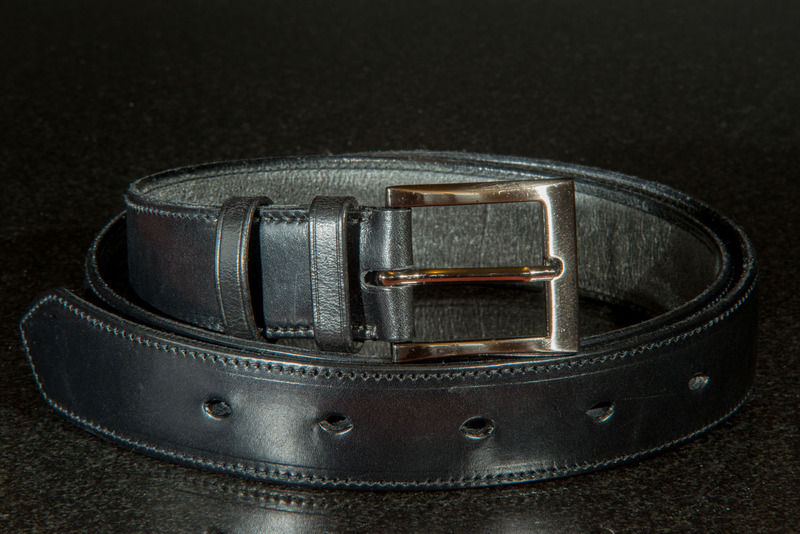 This hand made belt is crafted from English leather sourced from J and F J Baker and Company Ltd tannery in Devon, the last oak bark tanners in the UK. 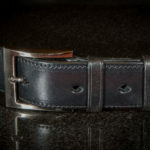 The leather is first split along its length and an insert glued along the whole belt and the two halves, then stitched back together. 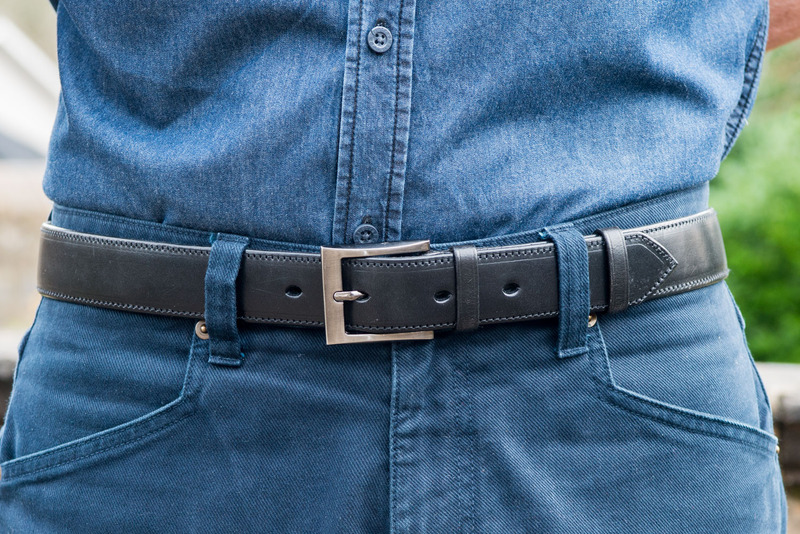 This give the belt a raised centre; a much more pleasing look than a simple flat leather belt. 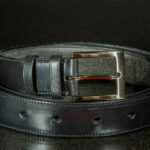 The buckle is hand stitched in, giving the belt a much greater look and feel of quality. It come with a fixed loop by the buckle and a running loop to secure the free end. Currently only available in Black. 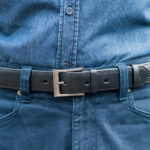 Lovely belt made from superb leather. One can choose from a variety of buckles by request. Excellent value for money. Fast delivery. Thanks a lot, Paul.